Richard Scudamore, the Premier League Executive Chairman, wrote this week in The Times about the abuse Raheem Sterling suffered during last weekend's match between Chelsea and Manchester City. "Abuse of the kind we have seen in football recently is appalling and totally unacceptable. 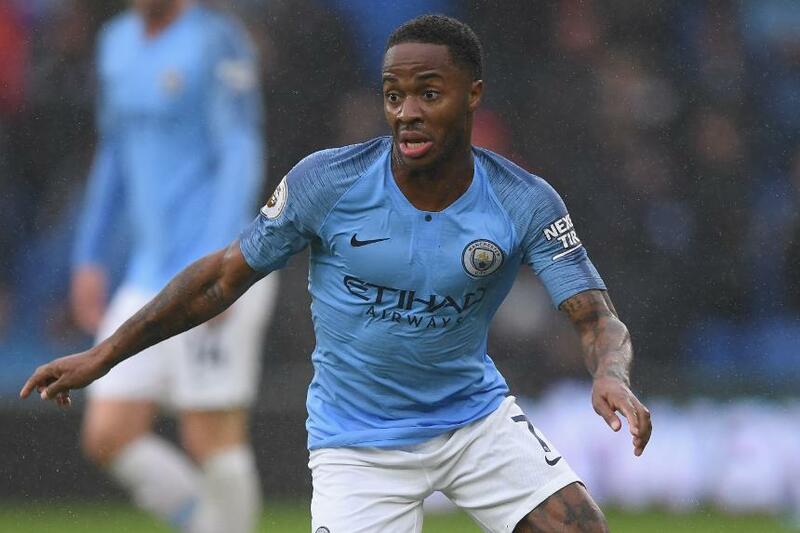 Raheem Sterling is showing great courage in speaking out and we must listen to him, and to other players. They use all the tools at their disposal, from fan education to swift and vigorous sanctions, to encourage decent behaviour and punish the small minority who offend. Chelsea’s suspension of four fans, pending full investigation, shows this work in action and is to be commended. We strive to make our grounds safe and welcoming for all fans. We are a multicultural and diverse football competition, we have players from all backgrounds and fans from all over the world. At community level, our clubs run the most comprehensive good causes programme in global sport, with inclusion at the centre of all their activities. However, the need for vigilance has never been greater as norms of decency in society appear to be shifting, particularly since the advent of social media. We recognise the influence — and the responsibility — that the Premier League holds in every aspect of our work. From 75,000 fans in a stadium to scholars in our academies, from community engagement programmes to millions of viewers across the world, we understand the power that our competition has to change attitudes in areas of equality, diversity and inclusion. Kick It Out has been supported by the Premier League, the FA, the EFL and the PFA for 25 years. Incredibly, throughout that whole time it has been led by Lord Ouseley, and what a huge contribution he has made to English football. Together we jointly run education programmes to promote equality and diversity in the academy system. We provide services that ensure fans can easily and confidentially report abuse that they witness. The Premier League Equality Standard supports our clubs in embedding equality, diversity and inclusion across all parts of their business and has materially altered the way they recruit and operate. Ultimately we know the only way to significantly alter behaviour and reduce discrimination is through education, and the earlier the better. The Premier League Primary Stars programme has engaged more than 16,000 primary schools — teaching materials include a focus on equality and inclusion — and the theme of our annual Premier League Writing Stars competition is diversity. Our coach development work is prioritising supporting BAME (black, Asian and minority ethnic) former players and young coaches, with reserved places on our Elite Coach Apprenticeship Scheme and placements in full-time roles in Premier League academies. Fans from BAME communities made up 17 per cent of Premier League attendees last season, up from 12 per cent ten years ago, and we want that trend to continue. Put simply, we celebrate and welcome diversity on our pitches and throughout our crowds. Despite all this, it is glaringly obvious that more needs to be done. While football has made huge progress and society has made big strides in improving attitudes and behaviours, we clearly have not done enough. In creating exciting, passionate environments we have inadvertently fostered safe places for excessive aggression to be displayed. Nowhere else — not on the street or in a pub — would people be brave enough to shout abuse at a group of very fit young athletes at such close proximity. We all need to take a close look at where that boundary should lie: between the adrenaline of passionate support and the wholly unacceptable vitriol and abuse masquerading as tribalism. Our clubs, the authorities and the FA are working towards further and urgent improvement — it is essential for the future of the game."